Employers need to plan ahead for the Diamond Jubilee bank holiday in June to avoid last-minute leave request clashes, Acas has warned. 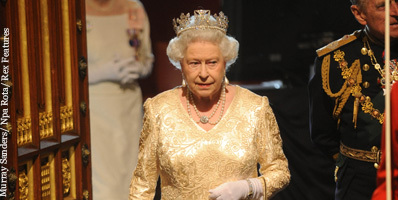 There will be an additional bank holiday on Tuesday 5 June this year to celebrate the Queen’s Diamond Jubilee. The spring bank holiday has been moved to Monday 4 June to accompany it. That week, employees will only need to take three days of leave in order to gain a nine-day break from work and, with the summer half-term break also coinciding with the double bank holiday at many schools, employers may face an influx of holiday requests from staff. However, the scale of the problem is likely to be smaller than last year, when due to Easter, the Royal Wedding and the May bank holiday falling within the same two-week period, there were only three working days between 22 April and 2 May. Acas has said that it is already receiving calls to its helpline from employers seeking advice on clashing leave requests and it has urged organisations to act now to make sure that they are prepared. “For many, the Queen’s Diamond Jubilee is an opportunity to celebrate and, with two bank holidays at the beginning of June, employers may receive more requests for time off,” said Acas national helpline manager Stewart Gee. For more information and advice on the extra bank holiday, view our employer’s guide.